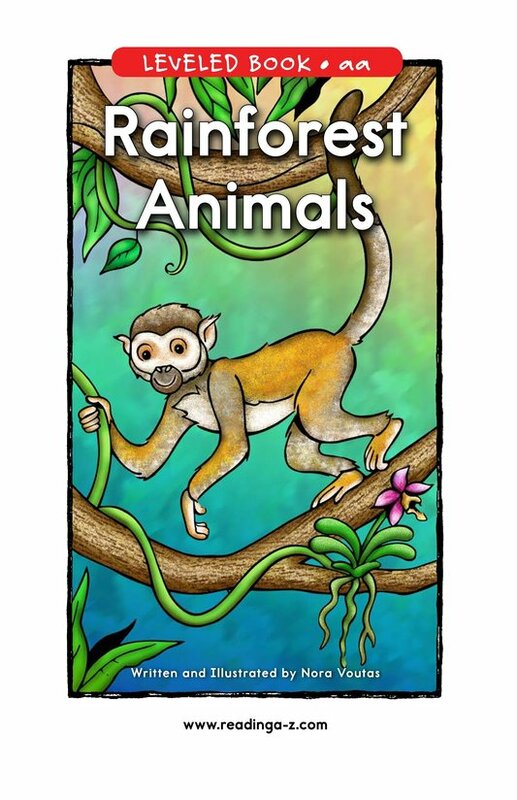 Many different animals live in the rainforest. 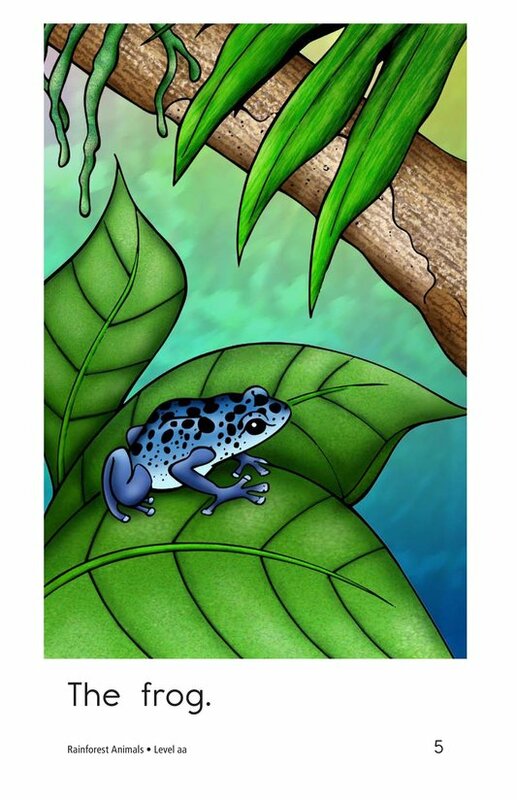 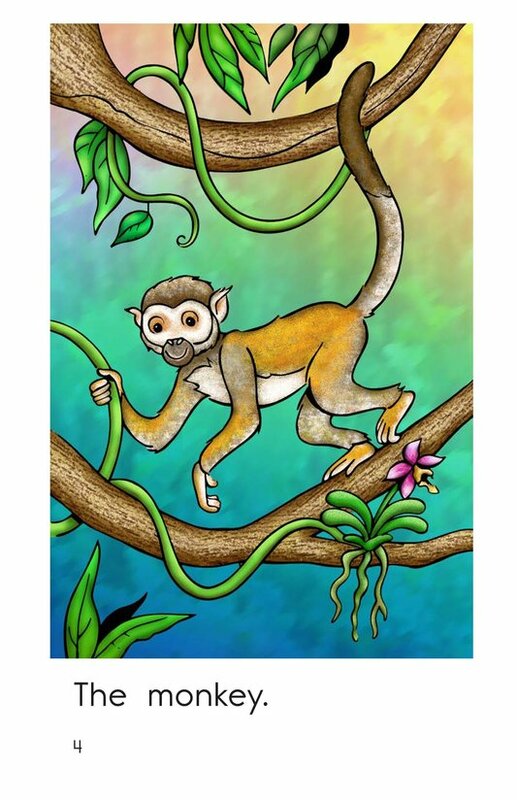 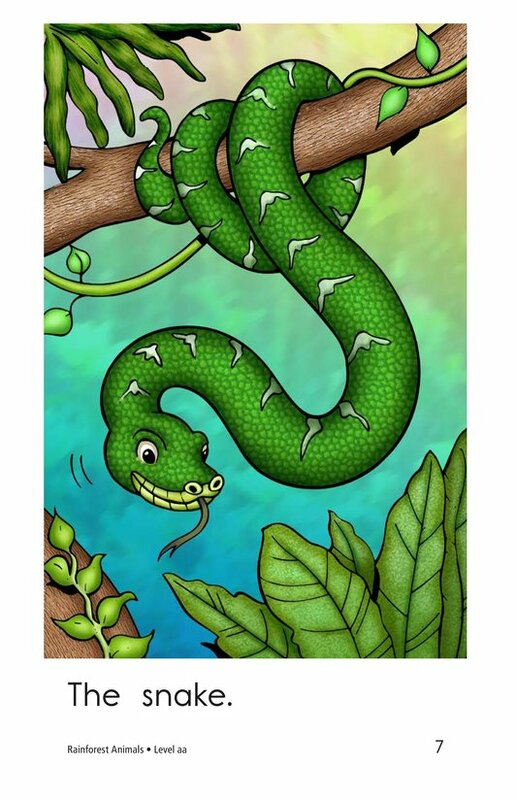 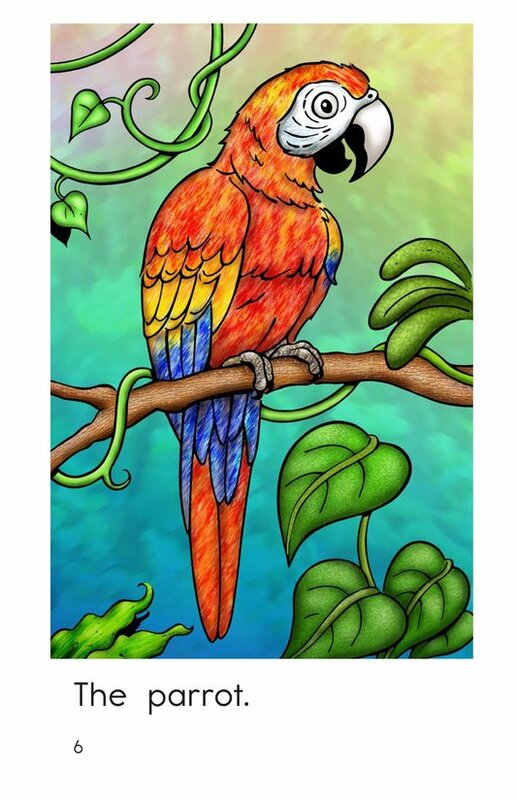 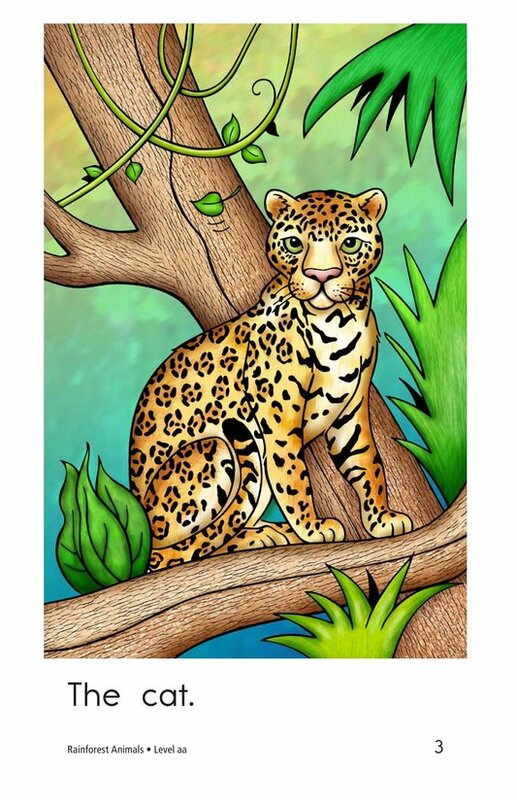 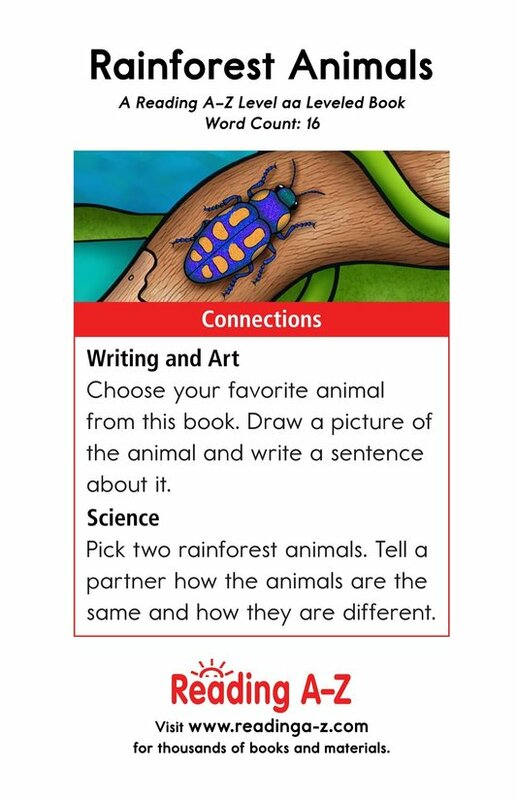 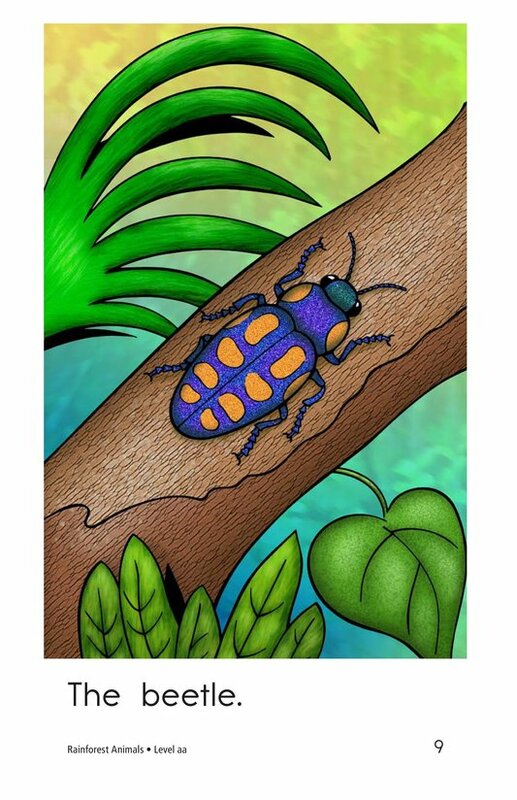 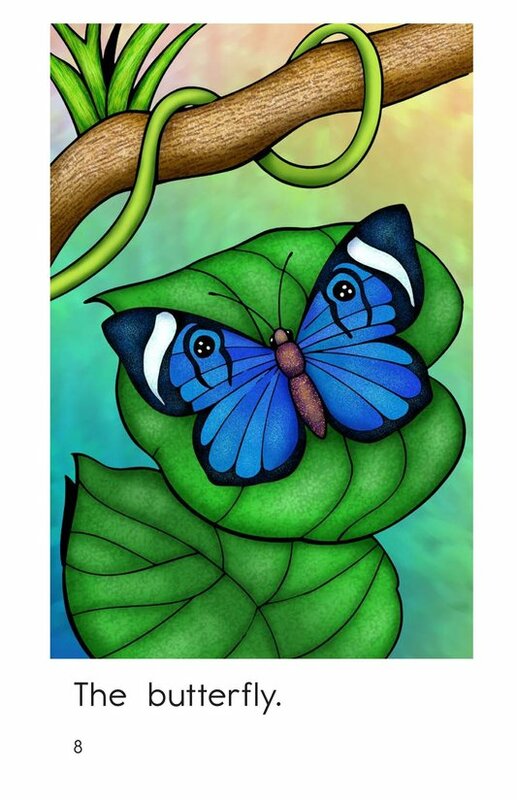 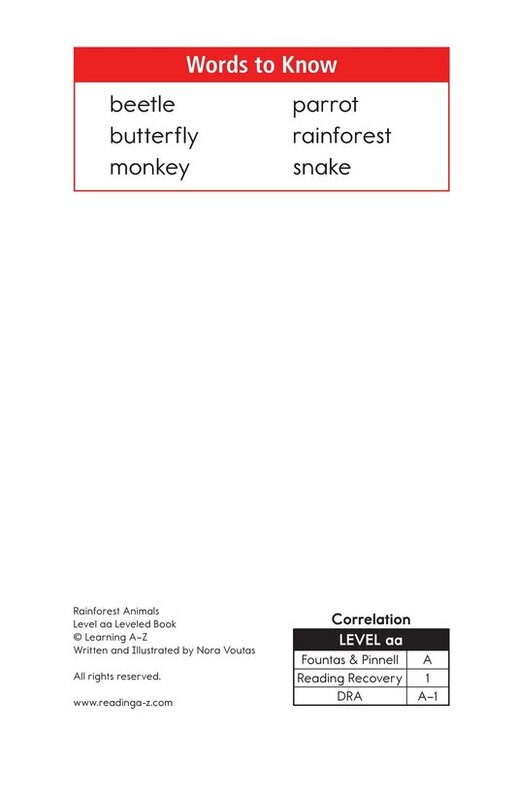 In Rainforest Animals, students will learn about different rainforest animals while reading a decodable text with the high-frequency word the. 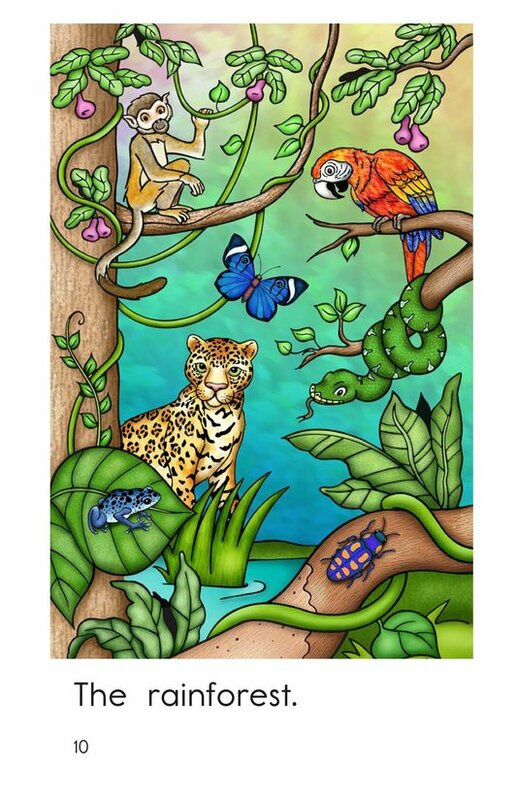 Colorful illustrations support the repetitive text. 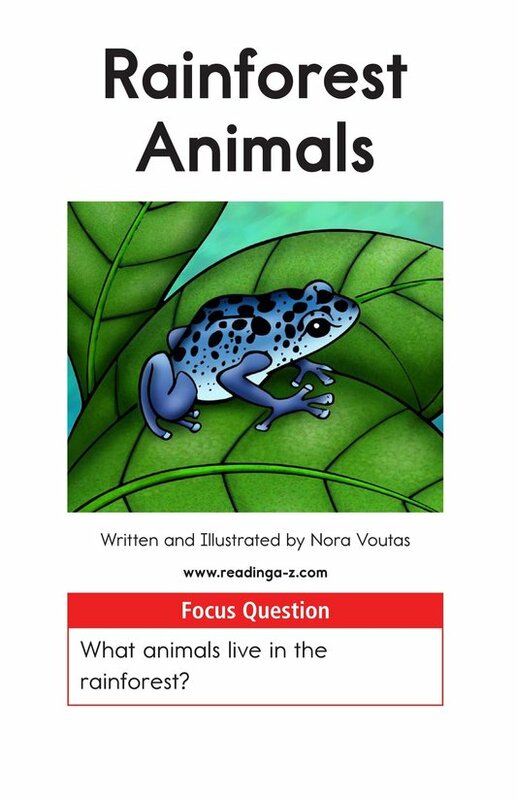 Students can also use the story to learn about main idea and details and nouns.